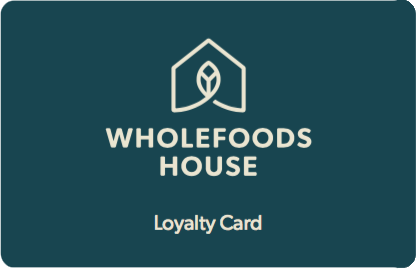 Wholefoods House recognises the importance of protecting your personal information and is committed to responsible privacy practices, in accordance with National Privacy Principles. This Privacy Statement sets out how Wholefoods House collects personal information, the purposes for which it is used, who it is disclosed to and other privacy information. Wholefoods House collects information regarding visitors to our website as follows: domain name, name, pages accessed, feedback information, e-mail address and means of communication together with any other information that you, yourself, supply. Wholefoods House collects and logs this information for communication purposes. If you prefer not to receive cookies, you may be able to change the settings of your Internet browser to disable cookies or to warn you when cookies are being used. This may preclude you from using some services or enhanced functionality. For the use of Wholefoods House Internet Services we may request personally identifying information (name, address, etc.) that we use to meet your requests.